Springs turn up in all sorts of applications, but one of the most important – albeit niche – businesses they are used in is undoubtedly the medical industry. When people&apos;s lives are potentially at stake, the specifications for such springs are extremely fine, and so they require genuinely painstaking manufacture techniques. What Is Special About These Springs? All springs need precision engineering, but medical springs often make use of a distinctive &apos;micro-coil&apos; technology process. These coils are achieved using an automatic mechanism, although the procedure is so exacting that laser sensors are needed to implement it correctly. An array of intricate shapes are utilised in the medical industry, and medical springs must adhere to the strictest of tolerances in order to attain these standards. 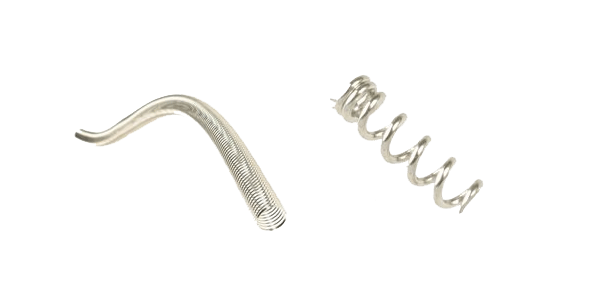 Some of the reinforced medical springs we manufacture incorporate a lining of Polymer tubing, as this gives them an unusually high coil ratio and allows their diameter to be exceptionally varied. Medical springs are usually produced using stainless steel alloys in the main. However, other materials are also called upon at times. The major requirement is for these springs to be clean and hygienic, and so Platinum-Tungsten and Platinum-Iridium can also be used on occasion to this end. Similarly, the packaging for medical springs must also be carefully considered, as no damage en-route to their destination must occur, as even the slightest trace of contamination could result in these springs being totally unfit for purpose. Medical springs are used in diverse ways, and you may well be surprised by some of their purposes. For example, did you know that miniscule springs can actually be inserted directly into the body of a patient? Whilst this may make you feel queasy, if you were suffering pains due to an overly narrow artery then you&apos;d be very grateful for a small spring to widen the offending area! Naturally, such springs must be tiny, with some being only 0.03mm in size, and arterial widening is certainly not the only use for medical springs. Pacemakers and many products in the pharmaceutical industries all depend upon medical springs, so don&apos;t ever take them for granted. Here at European Springs, we are famous for a range of very common spring types, such as compression and tension springs, but we also provide components for an assortment of more unusual sectors as well. From the medical industry to the electrical industry and even offshore developments, our high quality workmanship is essential within many important workplaces. If you&apos;d like to find out more, please be sure to contact us now.